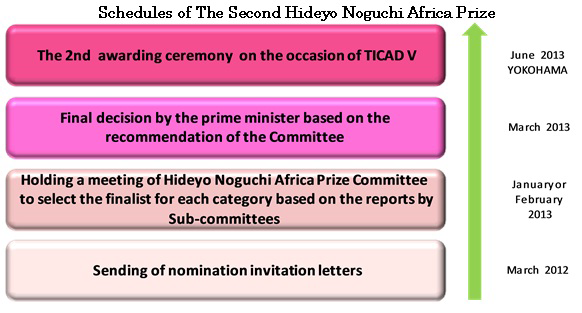 January 20, 2012, Mr. FUJIMURA Osamu, Chief Cabinet Secretary announced that the 2nd Hideyo Noguchi Africa Prize ceremony would take place on the occasion of TICAD V* (fifth Tokyo International Conference on African Development) which would be held from 1st (Sat) to 3rd (Mon) June 2013 in Yokohama. The Government of Japan established the Prize in July 2006 in memory of Dr. Hideyo Noguchi whose contribution to medical advancement and self-sacrificing activities in Africa remain a paragon of professionalism. The Prize aims to honor individuals with outstanding achievements in the fields of medical research and medical services to combat infectious and other diseases in Africa, thus contributing to the health and welfare of the African people and of all humankind. TICAD is Japan-led policy forum focusing on the development of Africa (co-organized by the United Nations, the World Bank, and the Commission of the African Union (AU), among others). 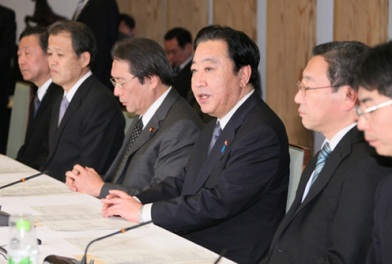 A summit meeting has been held once in five years in Japan since its first conference in 1993. The first to third conferences were held in Tokyo and the 4th Tokyo International Conference on African Development (TICAD IV) was held in Yokohama in May 2008. Hideyo Noguchi Africa Prize Committee was held at the Prime Minister’s official residence on February 20, 2012. Dr. KUROKAWA was re-elected as chair of the Committee among the members. He also delivered his short message and expressed his willingness to select brilliant candidates for the Prize in 2013. The selection process comprises two stages, namely: (a) recommendation of a maximum of three candidates by two sub-Committees established under the Japan Society for the Promotion of Science (JSPS) in respect of medical research field, and the World Health Organization Regional Office for (WHO/AFRO) in respect of medical services field; and (b) finalization of the candidates by the Hideyo Noguchi Africa Prize Committee to be referred to the Prime Minister for final decision. Prof. Brian Greenwood was born in 1938, in the UK. He was awarded the Hideyo Noguchi Africa Prize for his bold and innovative work on malaria. He established the Africa-LondonNagasaki Scholarship Fund (ALN) in cooperation with LSHTM (London School of Hygiene and TropicalMedicine) and the Institute of Tropical Medicine (NEKKEN) Nagasaki University with the honorarium of the Prize. TheScholarship Fund supports young African medical researchers wishing to undertake a Master’s degreerelated to the control of infectious diseases in Africa at LSHTM in London or NEKKEN in Nagasaki. 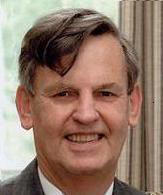 He also won the 2012 Canada Gairdner Global Health Award for contributions to significantly reducingmortality in children due to meningitis and acute respiratory infection and for contributions to malaria prevention. I am pleased to hear that preparations are under way for awarding the next Hideyo Noguchi Africa prizes next year. AsDr Ariyoshi has explained to you, the ALN scholarship programme is going very well. The first year we had over 800 applicants from young African scientists. I will be happy to say how much the Government of Japan is admired in the global health community for its initiative in establishing this prestigious prize. I am sure that there will be some excellent candidates second time round. Miriam K. Were was born in 1940, in Kenya. She was awarded for advancing community-based approach to health service. She is now promoting MCH (Maternal and Child Health) Handbook in Kenya getting hints from Japanese MCH Handbook. 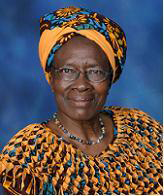 She is going to host the 8th international conference on MCH Handbook in Kenya in 2012. In 2011, she visited Japan again to participate in STS Forum (Science and Technology in Society Forum) and encourage the victims of the great east Japan earthquake in Fukushima, hometown of Dr.Noguchi. WELCOME TO THE SECOND AWARD OF THE PRIZE! The first awarding of the Prize in 2008 was a great occasion when Japan honoured Africa by this prize named after her prestigious son for work done in Africa in the Medical field. The Prize was unique globally at this level for recognizing Medical Research carried out in the field as well as for efforts for expansion of Medical Services. It was and is still a great honour to have received the prize for Medical Services. In the newsletter no.6 there was information on some activities I have carried out. In October 2012, the 8th International Conference on MCH Handbook will be held in Africa for the first time and marks the 4th anniversary of awarding the HIDEYO NOGUCHI AFRICA PRIZE. I welcome the second awarding of the Prize in June 2013 to make us 4 Laureates! A story about Dr. Hideyo Noguchi - Boyhood ? "Best Friends"
Seisaku (childhood name of Hideyo) Noguchi, fell to a sunken fireplace at the time of 18 months old (in 1878), and got his left hand burned. It was believed that his left hand would never function again but he had a surgical operation at the age of sixteen. He always marked excellent scores at school with his ceaseless efforts. However Noguchi’s family, an impoverished farmer could not afford their son’s operation. Teachers and friends wanted to help a talented student and decided to bear surgery costs. This operation changed Seisaku’s destiny. He was so impressed with the result of the operation that he decided to be a doctor. Seisaku used to walk about 6 km to go to elementally school. In winter, heavy snowstorm sometimes made him stay at his best friend Yasuhei’s house. A maid tried to see Seisaku’s left hand when she served foods. But Yasuhei ordered her “Just put the dishes outside the room and never open the door." Therefore she never saw Seisaku’s left hand. Yasuhei liked Seisaku very much. They remained lifelong friends and Yasuhei supported Seisaku all his life because he believed in Seisaku’s future. He was looking forward to seeing Seisaku grow up and achieve what he could not do. The feudal Samurai era had come to an end and people felt drastic change in civilization at that time. There were two boys in Inawashiro, a small town in Fukushima who dreamed of the bright future ahead. 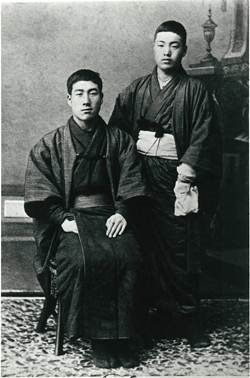 Seisaku (on the right) &Yasuhei (on the left) in 1884. After the operation, Yasuhei Yago, Seisaku’s best friend, went for Seisaku on foot for 32km long way from Yasuhei’s house to the hospital. This picture was taken at that time. It was the first time for Seisaku to be photographed in his lifetime. This story is based on Mr. Yasuo Yago’s interview. He is the director of Hideyo Noguchi Memorial Hall and grandson of Mr. Yasuhei Yago. He told us interesting episodes which have never been shown in biography. If you are interested in Dr. Hideyo Noguchi’s life, please visit our website. The donation fund for the Hideyo Noguchi Africa Prize is administered and managed by the Japan International Cooperation Agency (JICA). Donations are welcome from around the world by bank transfer in Japanese yen or foreign currency. The name of donators, individuals and corporations alike, will be printed in a booklet to be presented to the laureates during the award ceremony.